Lita Grey (born Lillita Louise MacMurray; April 15, 1908 – December 29, 1995), who was known for most of her life as Lita Grey Chaplin, was an American actress and the second wife of Charlie Chaplin. Sir Charles Spencer Chaplin was an English comic actor, filmmaker, and composer who rose to fame in the era of silent film. He became a worldwide icon through his screen persona, "The Tramp", and is considered one of the most important figures in the history of the film industry. His career spanned more than 75 years, from childhood in the Victorian era until a year before his death in 1977, and encompassed both adulation and controversy. Grey married four times. By her own account, she first met Charlie Chaplin at the age of eight at a Hollywood café and first worked with him at the age of 12 in the part of the "flirting angel" in The Kid . She appeared briefly as a maid in The Idle Class. Her one-year contract was not renewed. At the age of 15, she met Chaplin again when she heard he was testing brunettes for his The Gold Rush . They had an affair and she suspected she had become pregnant by the then-35-year-old Chaplin. As he could have been imprisoned for having sexual relations with a minor, they married that November in secret in Empalme, Sonora, Mexico to avoid a scandal. They had two sons, Charles Chaplin Jr. and Sydney Chaplin. The Kid is a 1921 American silent comedy-drama film written by, produced by, directed by, and starring Charlie Chaplin, and features Jackie Coogan as his adopted son and sidekick. This was Chaplin's first full-length film as a director. It was a huge success, and was the second-highest-grossing film in 1921, behind The Four Horsemen of the Apocalypse. In 2011, The Kid was selected for preservation in the United States National Film Registry by the Library of Congress as being "culturally, historically, or aesthetically significant." Innovative in its combination of comedic and dramatic elements, The Kid is widely considered one of the greatest films of the silent era. Empalme is a city surrounded by a municipality located on the south-central coast of the Mexican state of Sonora. According to the 2005 census the population of the city was 40,630 inhabitants, while the municipality, which has an area of 708.53 km², reported 50,663 inhabitants. Except for its coastline on the Gulf of California, the municipality is entirely surrounded by the much larger municipality of Guaymas. 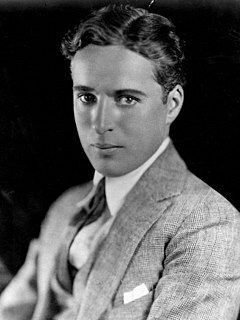 Charles Spencer Chaplin III was an American actor. He was a son of Charlie Chaplin and Lita Grey. He is known for appearing in 1950s films such as The Beat Generation and Fans of the Wild. In the 1970s and 1980s, she worked as a clerk at Robinson's Department Store in Beverly Hills. She wrote two autobiographical volumes covering her life with Chaplin. My Life With Chaplin (1966) was, by her own admission, largely a work of exaggeration and fabrication. She claimed to tell the story as it really was in her second memoir Wife of the Life of the Party (1998). Grey was portrayed by Deborah Moore in the 1992 film Chaplin , though Grey was depicted on screen for less than a minute in the final film. Deborah Maria Luisa Moore is an English actress and the daughter of actor Roger Moore and Italian actress Luisa Mattioli. Chaplin is a 1992 British-American biographical comedy-drama film about the life of British comedian Charlie Chaplin. It was produced and directed by Richard Attenborough and stars Robert Downey Jr., Marisa Tomei, Dan Aykroyd, Penelope Ann Miller, and Kevin Kline. It also features Geraldine Chaplin in the role of her own paternal grandmother, Hannah Chaplin. Wikimedia Commons has media related to Lita Grey . The Great Dictator is a 1940 American political satire comedy-drama film written, directed, produced, scored by, and starring British comedian Charlie Chaplin, following the tradition of many of his other films. Having been the only Hollywood filmmaker to continue to make silent films well into the period of sound films, this was Chaplin's first true sound film. The Gold Rush is a 1925 American comedy film written, produced, and directed by Charlie Chaplin. The film also stars Chaplin in his Little Tramp persona, Georgia Hale, Mack Swain, Tom Murray, Henry Bergman, and Malcolm Waite. The Circus is a 1928 silent film written and directed by Charlie Chaplin. The film stars Chaplin, Al Ernest Garcia, Merna Kennedy, Harry Crocker, George Davis and Henry Bergman. The ringmaster of an impoverished circus hires Chaplin's Little Tramp as a clown, but discovers that he can only be funny unintentionally. Paulette Goddard was an American actress, a child fashion model and a performer in several Broadway productions as a Ziegfeld Girl; she became a major star of Paramount Pictures in the 1940s. Her most notable films were her first major role, as Charlie Chaplin's leading lady in Modern Times, and Chaplin's subsequent film The Great Dictator. She was nominated for an Academy Award for Best Supporting Actress for her performance in So Proudly We Hail! (1943). Her husbands included Chaplin, Burgess Meredith, and Erich Maria Remarque. Limelight is a 1952 comedy-drama film written, produced, directed by, and starring Charlie Chaplin, based on a novella by Chaplin entitled Footlights. The score was composed by Chaplin and arranged by Ray Rasch. Mildred Harris was an American film actress during the early part of the 20th century. Harris began her career in the film industry as a child actress when she was 11 years old. She was also the first wife of Charlie Chaplin. Sydney Earl Chaplin was an American actor. He was the second son of Charlie Chaplin and Lita Grey. 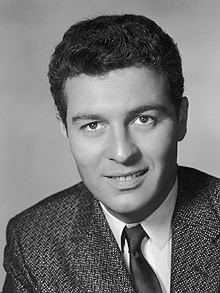 One of his major roles was his father's film Limelight (1952). In theater, Chaplin won the Tony Award for Best Featured Actor in a Musical for his 1957 performance in Bells Are Ringing. Sunnyside is a 1919 American short silent film written, directed and starring Charlie Chaplin. It was his third film for First National Pictures. A Countess from Hong Kong is a 1967 British romantic comedy film written and directed by Charlie Chaplin and starring Marlon Brando, Sophia Loren, Sydney Chaplin, Tippi Hedren, Patrick Cargill and Margaret Rutherford. It was the last film directed, written, produced and scored by Chaplin, and one of two films Chaplin directed in which he did not play a major role, as well as his only color film. Chaplin's cameo marked his final screen appearance. Georgia Theodora Hale was an actress of the silent movie era. Charlie Chaplin: Intimate Close-Ups is a memoir by the American actress Georgia Hale which was written in the 1960s. Ten years after Hale's 1985 death, Heather Kiernan edited the manuscript and it was published in 1995 by The Scarecrow Press with a second edition published in 1999. The Freak was an unfinished dramatic comedy from Charles Chaplin. The story revolved around a young South American girl who unexpectedly sprouts a pair of wings. She is kidnapped and taken to London, where her captors cash in by passing her off as an angel. Later she escapes, only to be arrested because of her appearance. She is further dehumanized by standing trial to determine if she is human at all. Joan Barry was an American actress best known for winning a paternity suit in California in 1943 against Charlie Chaplin after an affair between the two resulted in two terminated pregnancies and the subject of the suit, a live-born girl named Carol Ann. Chaplin supported the girl financially until her 21st birthday. Douglas Fairbanks was an American actor, screenwriter, director, and producer. He was best known for his swashbuckling roles in silent films including The Thief of Bagdad, Robin Hood, and The Mark of Zorro but spent the early part of his career making comedies. Marilyn Nash was an American actress and casting director. She was best known for starring in the 1947 Charlie Chaplin film Monsieur Verdoux. ↑ "Memoirs by Lita Grey Chaplin". Archived from the original on 2015-07-13. Retrieved 2015-07-11. ↑ Chaplin, Lita Grey and Jeffrey Vance. (1998). Wife of the Life of the Party. Lanham, MD: Scarecrow Press, pg. 2-3; ISBN 0-8108-3432-4. ↑ "The Gold Rush". http://www.charliechaplin.com/. Archived 2015-02-07 at the Wayback Machine Charlie Chaplin: The Official Website. Retrieved 2014-09-17. ↑ Chaplin, Lita Grey and Jeffrey Vance. (1998) Wife of the Life of the Party. Lanham, MD: Scarecrow Press, 4-13. ISBN 0-8108-3432-4. ↑ Bucktin, Christopher (2 April 2015). "Charlie Chaplin seduced me when I was just 15 and made revolting sexual demands". Daily Mirror. Archived from the original on 22 August 2018. Retrieved 16 March 2019. ↑ Shipman, David (1995). "OBITUARY: Lita Grey". The Independent. Archived from the original on 9 December 2017. Retrieved 16 March 2019. ↑ Chaplin, Lita Grey; Vance, Jeffrey (1998). Wife of the life of the party. Scarecrow Press. p. 306. Archived from the original on 2014-07-04. Retrieved 2016-10-04.